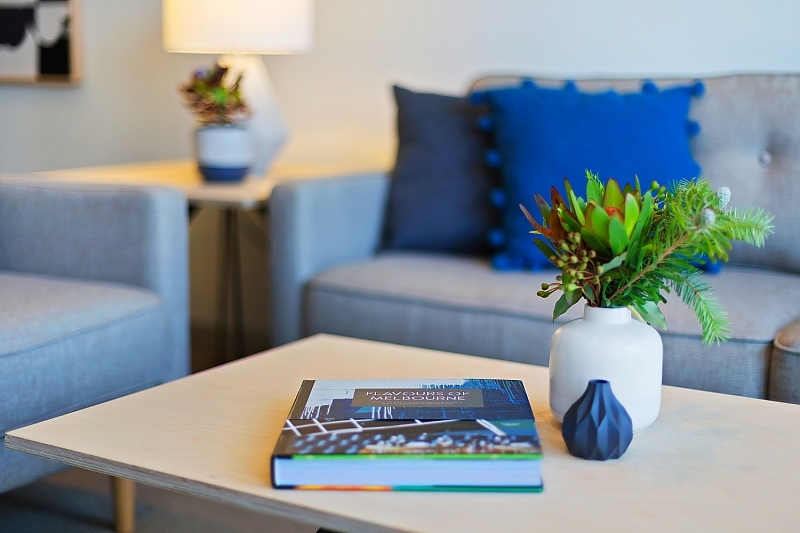 Our apartments are curated with custom designed furniture and local artworks. 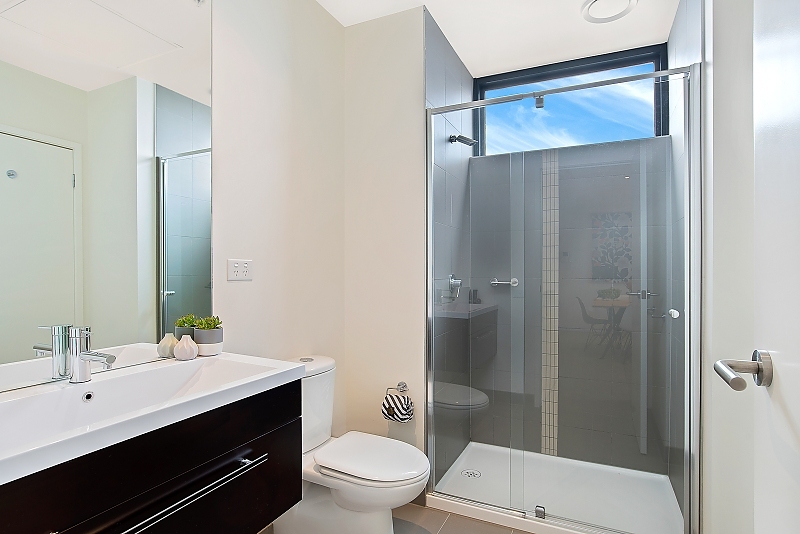 Care is taken to ensure the spaces are comfortable and welcoming. 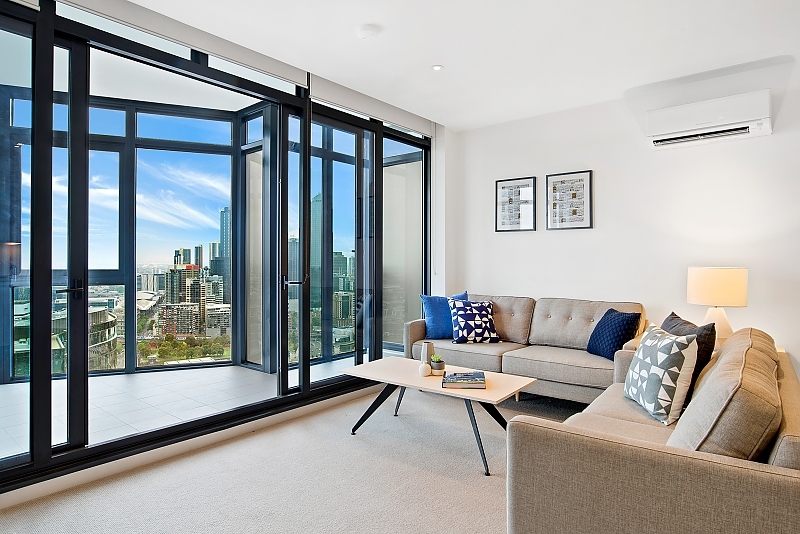 The bedrooms and living areas have plenty of natural light with floor-to-ceiling windows and views of the city. Our apartments are not shoeboxes. 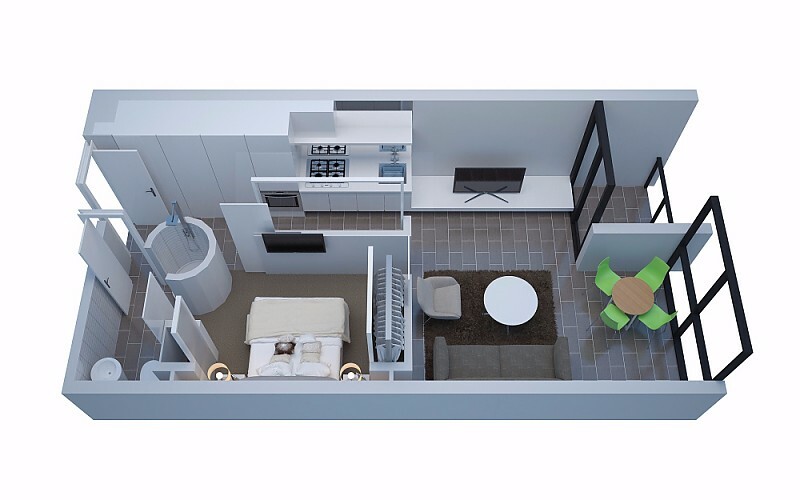 At about 75 square metres each, there is plenty of space to spread out, have a friend or two over or even do some morning yoga. 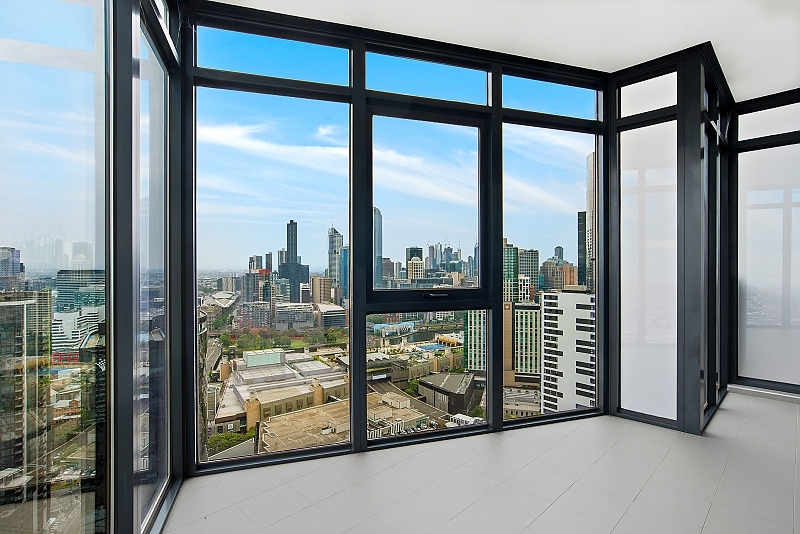 The apartments are located in Southbank, Melbourne's southern doorstep. 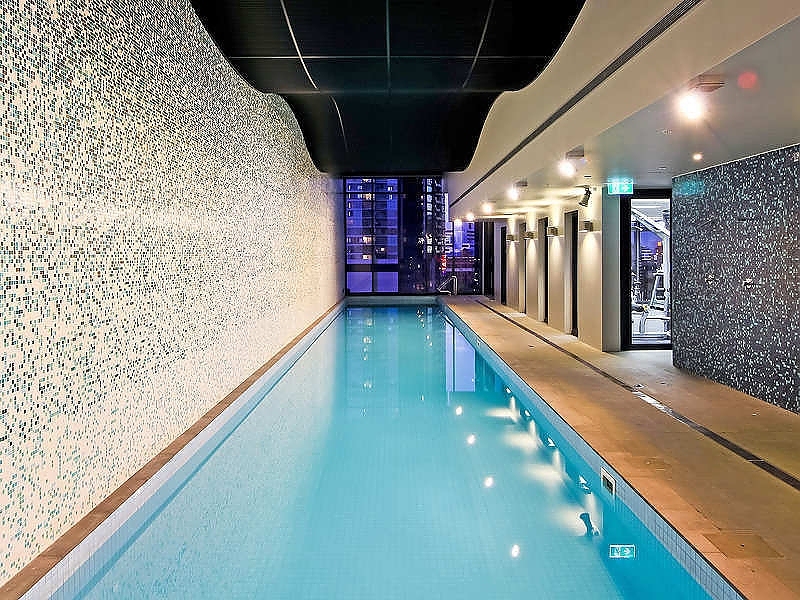 Adjacent to Crown casino, the short stay apartments are only a stone's throw from Southbank's entertainment precinct and a five minute stroll into the CBD. Many of Melbourne's best sites are within walking distance: the Royal Botanic Gardens, Arts Centre, museums, markets and famous laneways. If you need to venture further afield, a five minute walk across the bridge will get you to Flinders Street Station where you can purchase a Myki, catch a train or jump on a tram. 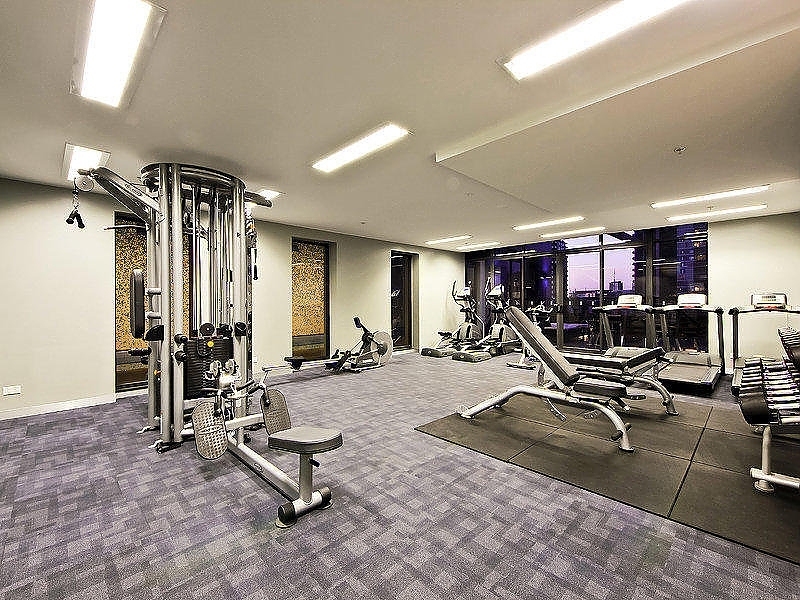 Our apartment building offers additional amenities with a gym, pool and tennis court. In addition, the Boyd Library is just a block away and has a basketball court, children's toys, cafe and free Wi-Fi for a change of scenery or quiet escape. 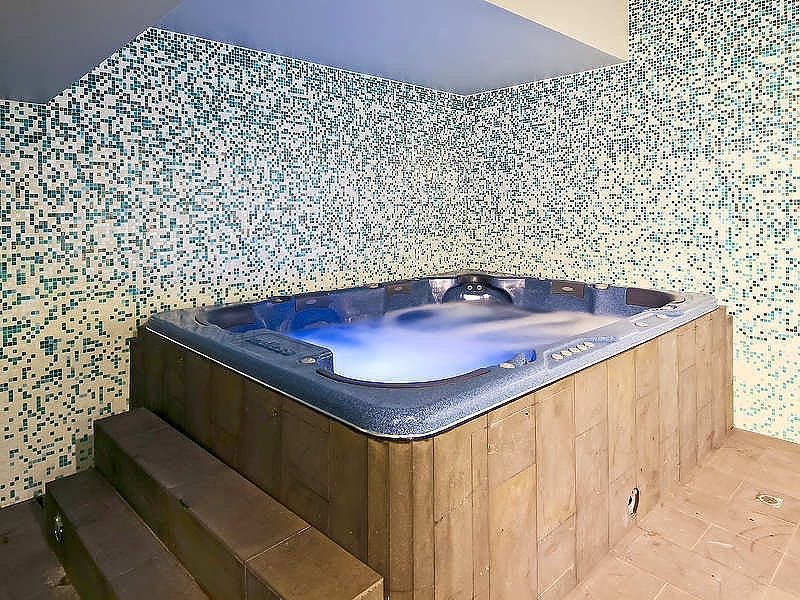 All the little details are taken care of so you can relax and unwind when spending time in the apartments. 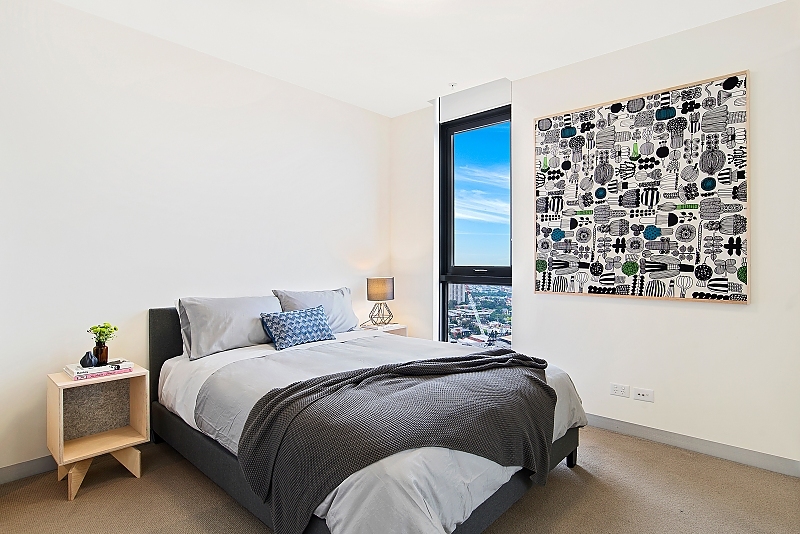 The mattresses are custom made right here in Melbourne to ensure you have a great night's sleep, and the couches and chairs have been selected for comfort as well as design. 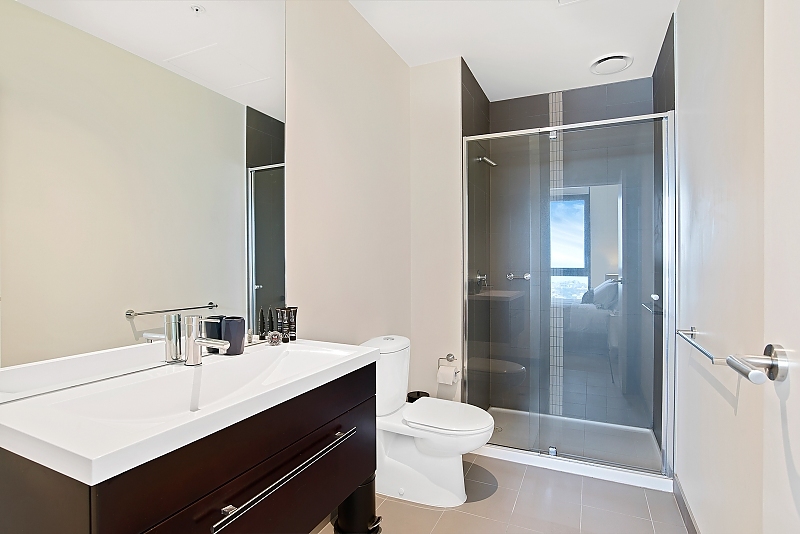 For entertainment there is unlimited Wi-Fi, HD TV and Netflix. 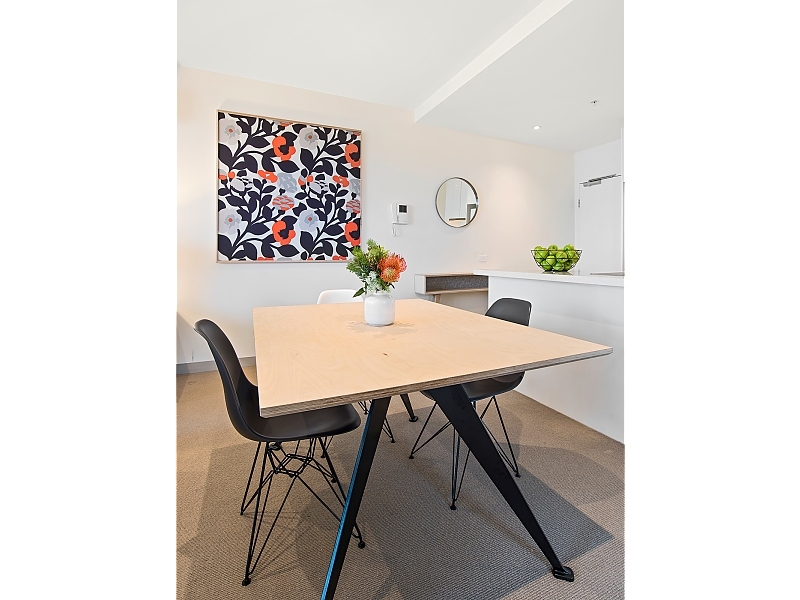 While Melbourne has a plethora of exceptional eateries right on your doorstep, sometimes nothing beats a home-cooked meal. 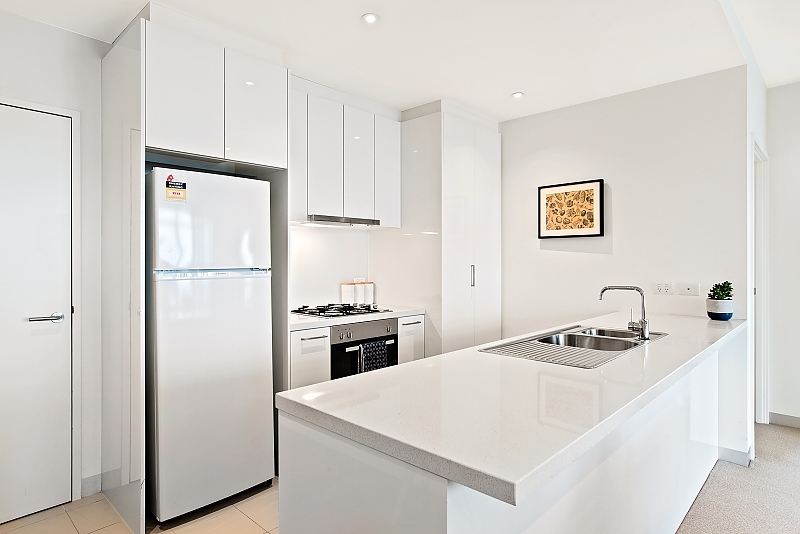 The kitchens are fully equipped with pots, pans, utensils and crockery for all your cooking needs. We've also partnered with local suppliers, including Who Gives a Crap and Eco Store, to ensure you have toiletries to get you started. We also provide milk, tea and coffee as well as a selection of snacks for those who get the munchies. Southbank is Melbourne's doorway to the city, with fabulous restaurants, chilled out cafes and local sights all easily accessible. For last minute shops, there is a small supermarket and Asian grocer nearby. 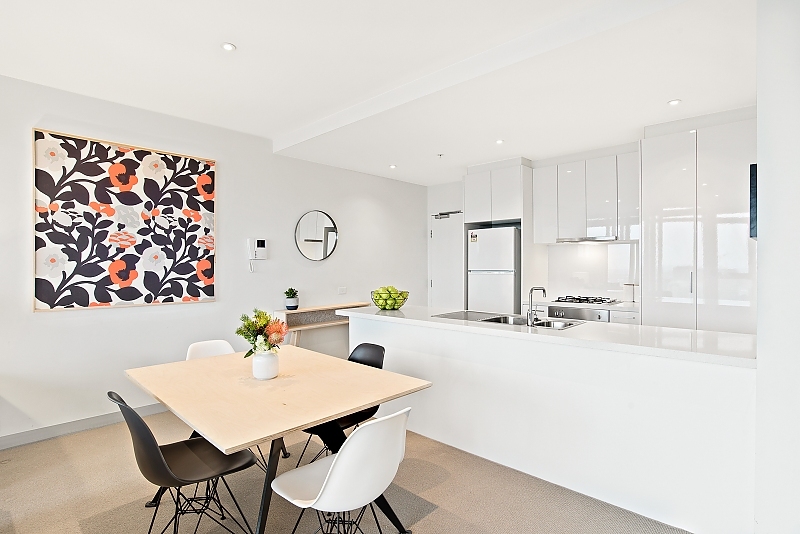 Slightly further down the road is Woolworths, Coles and Aldi, as well as the South Melbourne Market, which offers an abundance of fresh produce. We love helping our guests explore the city. 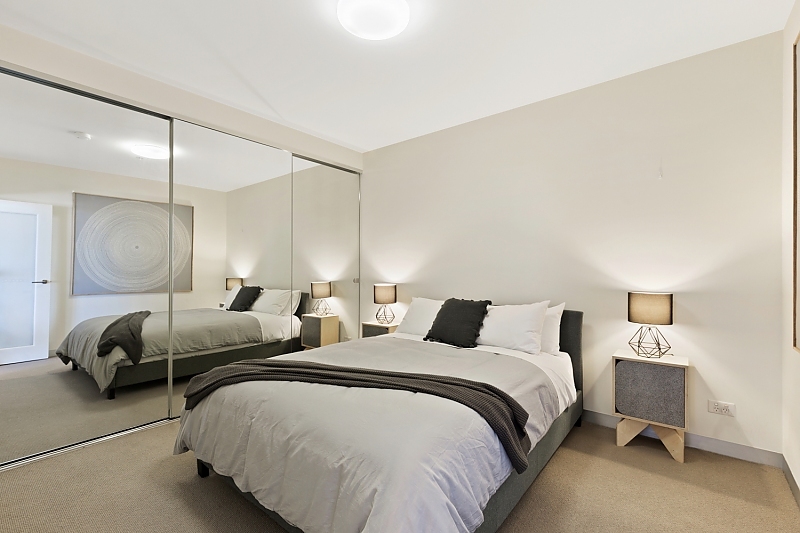 Each apartment has a set of recommendations, curated personally by us. We are always happy to answer any questions you may have or provide you with recommendations tailored to your needs and tastes. Buildings have concierge but please contact for check in. 24 hour check in is available. 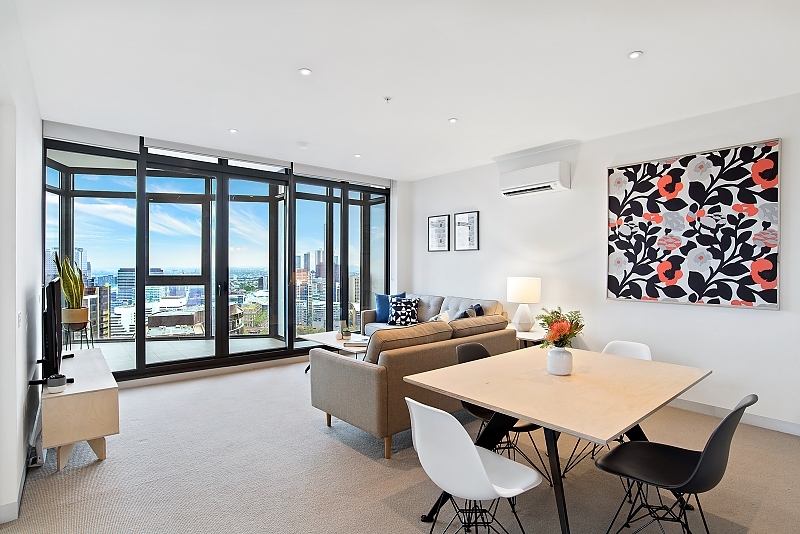 Located in the heart of Melbourne, with the best cafes and bars only a short stroll away, our serviced apartments provide a comfortable and stylish home base while you get familiar with this incredible city. We love travelling and exploring new cities with local knowledge. 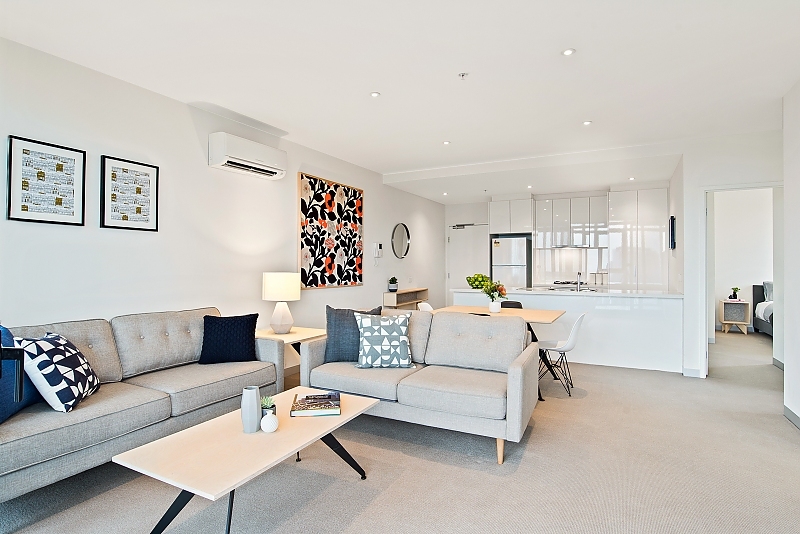 That's why we founded Nook Melbourne short stay apartments. 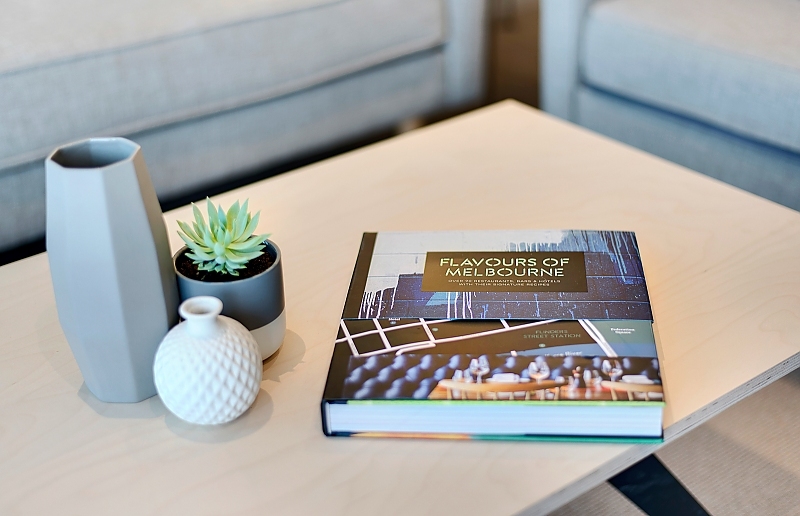 Drawing on our own travel experiences we provide a welcoming and comfortable serviced space inspired by our city, Melbourne. 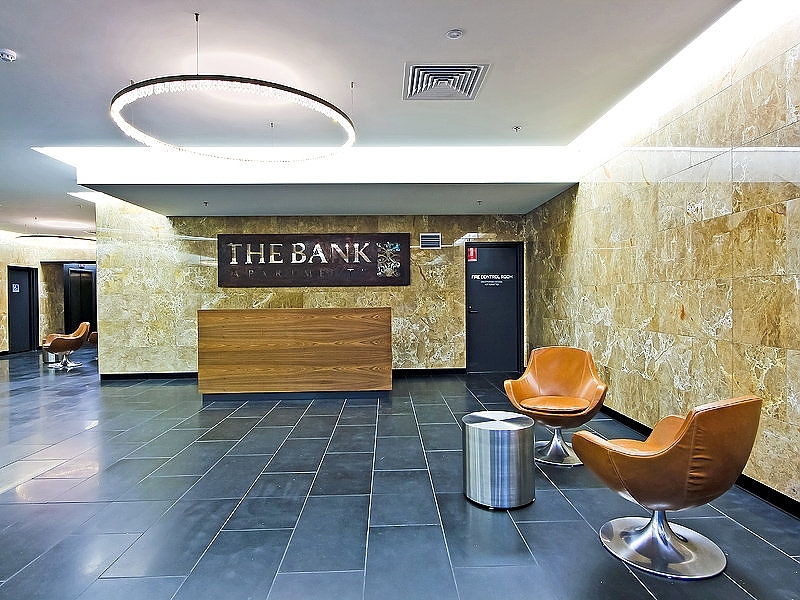 We are on hand to offer advice and assistance so you can unearth the best the city has to offer Melbourne during your stay. 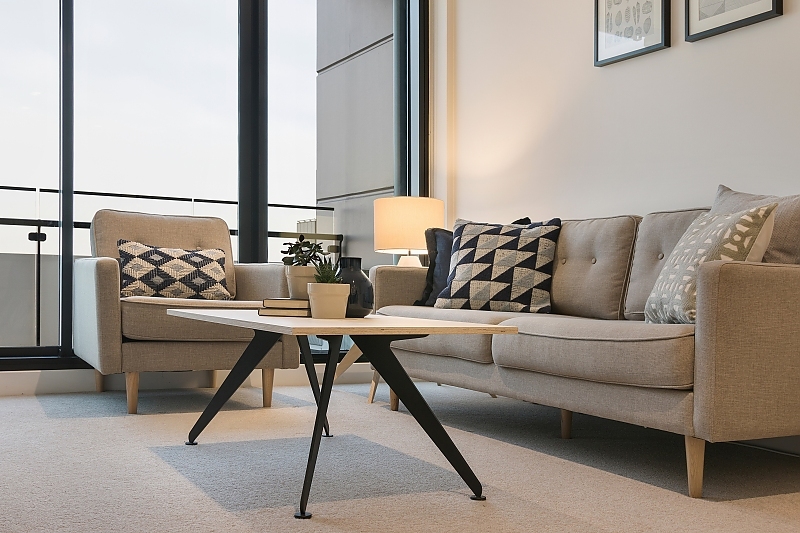 Each one of our custom curated short stay serviced apartments is private and spacious with modern interior styling, clean lines and high-quality finishes. We partner with hand picked, tried and tested local suppliers so you can experience Melbourne at its finest. 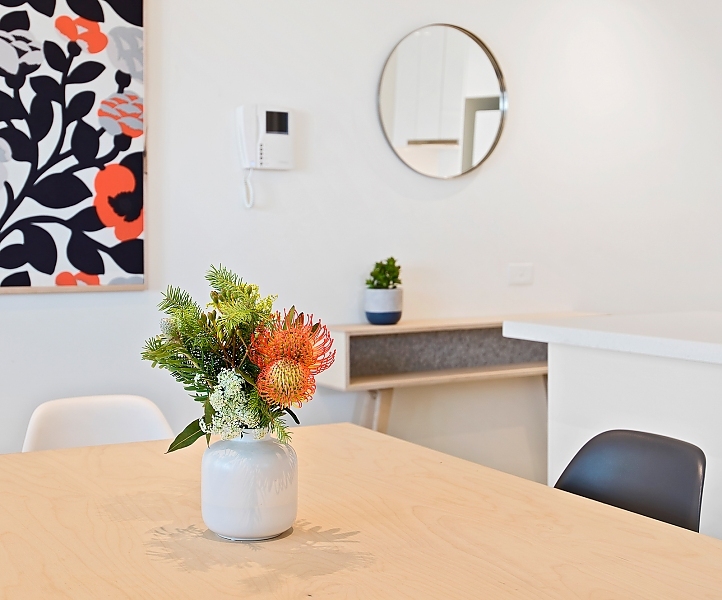 We look forward to helping you discover Melbourne through Nook Melbourne, Short Stay Apartments, providing a gateway to explore the city.